Thank you so much to everyone who made our Forum Spring 2014 issue launch party such a success! Big thanks especially to: Bird & Beckett Books for so graciously hosting the event in their fabulous bookstore (seriously check it out, it’s amazing! ), our contributors for producing all the immensely beautiful content in this issue, to our advisors and staff for putting in the long hours needed to get the work in print, CCSF’s graphics department for dedicating their talents to the layout, and to everyone who came to the launch party to show their support. A special thank you to Bill McGuire, whose tireless efforts to raise money for the English Department social fund added up to a very generous donation to support our production costs. We still get all teary just thinking about it. 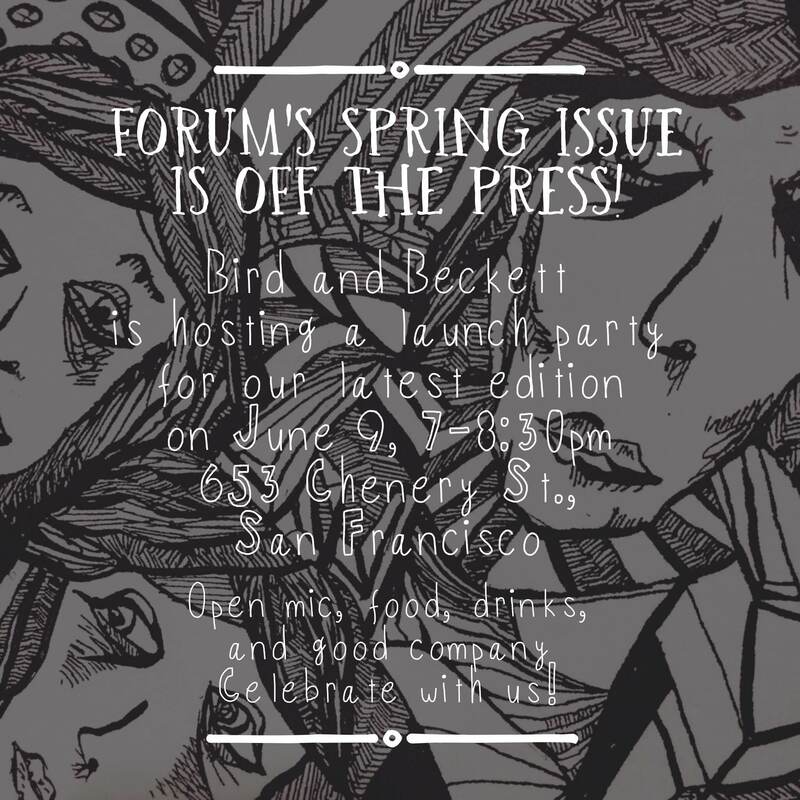 If you’d like to buy an issue of Forum’s Spring 2014 issue, please stop by Bird & Beckett or the CCSF Ocean Campus Bookstore. Each copy is $10, and all profits go toward funding future issues of the magazine. If you’d like to work for Forum next semester, we’d love to have you! Just apply through CCSF (applications are open to everyone) and register for English 35L. Or, if you’d like to submit your work to be published, please visit our submissions page for more guidelines. The Fall 2014 submissions deadline will be in September. 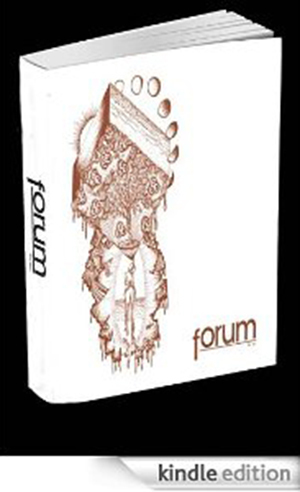 The Forum Spring 2014 issue is here! The Forum Spring 2014 issue has been published! Please join us for our launch party at Bird & Beckett on Monday, June 9th from 7-8:30 to pick up your copy, take part in an open mic, and for a chance to win some fabulous prizes! Hope to see you all there, and thank you everyone who contributed your work to our magazine. We couldn’t put together such a great publication year after year without you!